The end-user driven, residential market of Kolkata has witnessed a decline in prices in the recent months. The city of joy, which was once defined by its old-school colonial buildings, is gradually being dotted with numerous contemporary, high-rise projects. Moreover, the Kolkata property market is today recognised for its emerging suburbs where over a hundred housing projects have been launched in the past five years. The micro-markets, that include Newtown, Rajarhat, Narendrapur, Garia, New Alipore, Ballygunge, Barasat and Kalyani, which coveted by commercial developers, corporate players, non-resident Indians (NRIs) and homebuyers. New developments such as a proposed high-speed train corridor, extension of the Metro links, influx of IT companies and favourable township policies of the state government are expected to push the housing demand higher up. New Town, where property options are diverse in nature, has managed to entice buyers. This is mainly because of its steady infrastructure growth and connectivity. Proximity to the international airport and a proposed Metro link are the major pluses for this satellite town of Kolkata. Prices have dropped by around 10.9 per cent in past few months. There is a total of 278 projects which includes over 60 under-construction properties and over 190 ready-to-move-in units. There is an active developer-presence with big names like Tata Housing and Unitech to some local builders. Residential properties are available at an average rate of Rs 3,400 per sqft. Despite the sluggish demand in other parts of the city, Rajarhat continues to pull investors, homebuyers and even Non-resident Indians (NRIs). It has thus seen a rise in its capital values by 10.5 per cent in past few months. This suburban locality shares its boundaries with another coveted locality, the Salt Lake City. Rajarhat owes its popularity to the rise of corporate and IT offices nearby, its planned development and seamless access to the rest of the city. Out of a total of 167 residential properties, over 121 are ready for possession while about 40 are under construction stage. The average property value in the region is Rs 3,700 per sqft. Tucked in south Kolkata along the Eastern Metropolitan (EM) Bypass, Narendrapur, is coming up as an affordable destination. It is a preferred locality for young homebuyers and renters owing to the presence of renowned educational institutions and offices. Sound infrastructure, a Metro link and ample land availability, makes this area an ideal real estate hub. Over 80 residential properties are available with about 56 ready-to-move-in homes and 22 under-construction projects. Property prices have gone up by 19 per cent in last six months. Houses can be bought at an average price of Rs 3,500 per sqft. Tollygunge, a part of South 24 Parganas district, is evolving as an investors’ market with high rental returns. Nearly 100 residential properties are available for buyers of all budget groups. This includes 75 ready-to-move-in projects and 19 under-construction properties. With good rail, Metro and road link, Tollygunge enjoys its proximity to thriving job markets and popular neighbourhoods like New Alipore, Bansdroni and Golf Gardens. It is also well-connected to localities like Park Street, Garia and Howrah. Reputed educational institutes in the vicinity is a growth driver for this micro-market. Owing to the recent launch of luxury properties, prices in Tollygunge have jumped up to Rs 6,000 per sqft. The values are still high despite a decline of 16.4 per cent in last six months. Madhyamgram, as a residential market, is flourishing and offers suitable housing options for middle-income families. Situated in north Kolkata in North 24 Parganas, the suburb is linked to the National Highway 34 and is a short distance from the Netaji Subhash Chandra Bose International Airport. The neighbourhood has a well-developed social infrastructure with the availability of good public transportation. 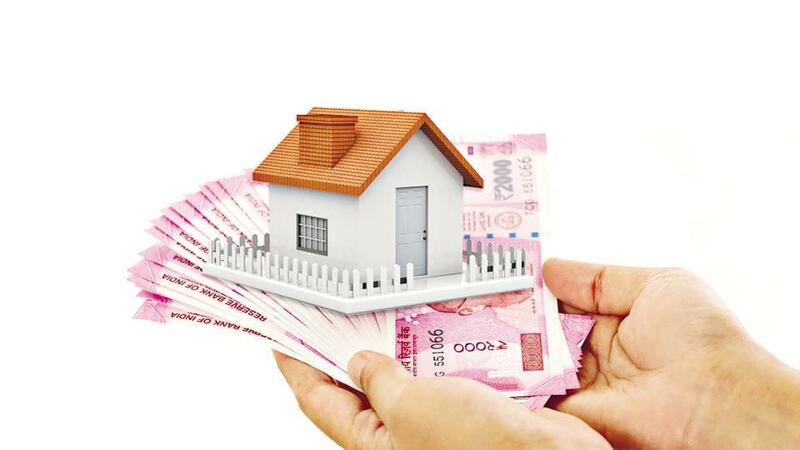 Property prices have appreciated by 4.8 per cent in past six months and are presently fixed at Rs 2,700 per sqft. Over 60 residential properties are available including 42 ready-to-move-in projects and 16 under-construction projects.